A year where we saw a big growth in the surface preparation industry. We would like to take the opportunity to wish you happy holidays and all the best for 2015! We hope that we can still be of assistance to you regarding your surface preparation projects in the New Year. For Blastrac, 2014 was a year where we saw a big growth in the surface preparation industry. We listened to our costumers and the issues they faced at their jobsites, and went on to develop two new surface preparation machines; the BMP-4000 scarifier and the 900VMB Vertical Steel Blaster. 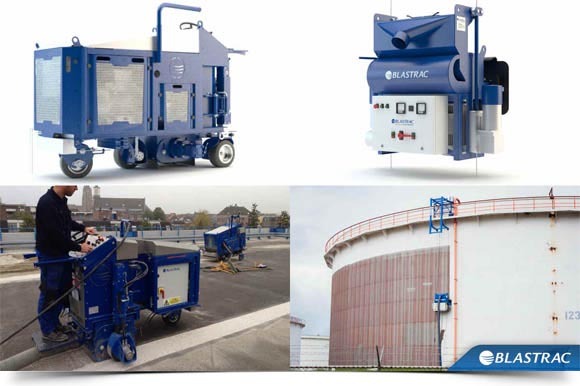 This year we also added 3 new machines to our range of industrial dust collectors; the BDC-44, BDC-66 & BDC-99. 2014 was also the year we opened up a sales & service centre in Hyderabad, India. This was a logical step for us based upon the amount for requests we had from this region and in our mission to guarantee the Blastrac service around the world. For more information visit Blastrac India's website www.blastrac.in.